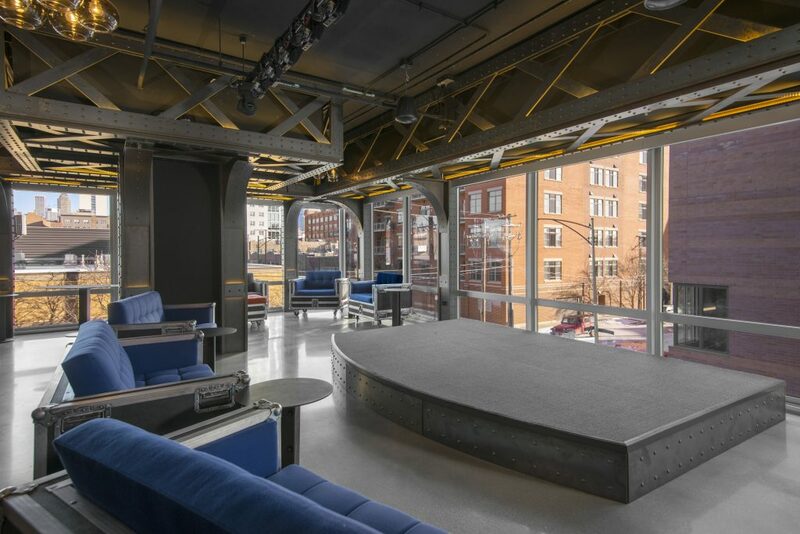 At Spoke, reconfigurable furniture and a small stage compliment popular features like high-top seating groups, a pool table, and a catering-friendly kitchen in one of the building’s resident lounge amenities. It’s no secret that multifamily design has been fueled by an amenity war as developers and managers work to differentiate their property. That battle rages on, but a “more is better” philosophy is giving way to more tactical choices, both in terms of space and cost of implementation. Services have emerged as the platinum offerings across multifamily properties, boosted by the fact that services which make a resident’s life easier can usually be offered at just the cost of implementation, rather than a need for dedicated physical space. In lobbies and common areas, Package handling still isn’t perfectly solved, for two reasons: volume and staffing. First, the number and size of shipments, especially in downtown properties, continues to rise. However, a backlash is building from delivery drivers who are accustomed to making a single large drop-off – the extra time required to load the lockers is becoming unacceptable to some of the big couriers who are obsessed with efficiency and speed. As a result, we’re seeing even the best-designed high-tech package rooms get cluttered with stacks of drop-offs until someone from the building can take care of the intake process. As a result, many owners and property managers are opting to provide what they see as the best possible resident experience: Personal service from a staff member. In buildings that can sustain it, a front desk concierge responsible for receiving deliveries and interfacing with residents for retrieval will need their work area and package storage configured to allow them to address near-constant demand. In buildings that lack 24-hour desk staff or the requisite space, property managers are offering delivery of parcels all the way to the unit, using support staff to distribute shipments and reducing the burden on the management office or desk staff. 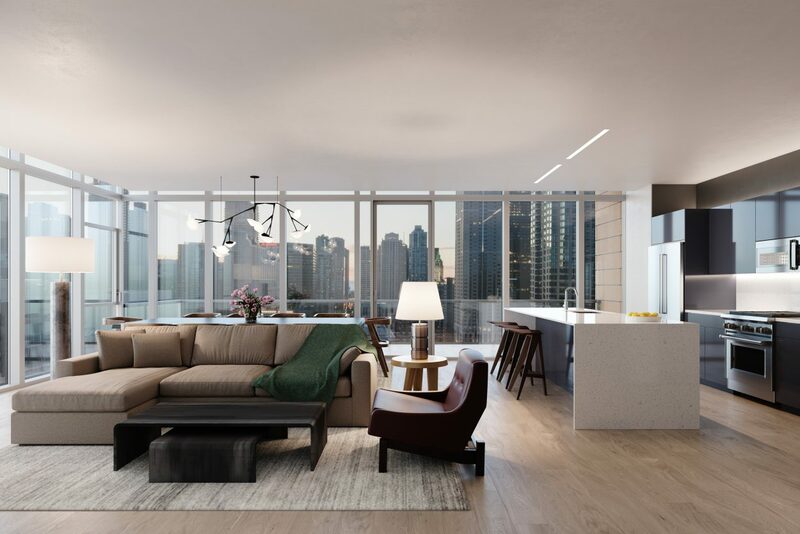 At Niche 905, an interior space was set aside during design for a quickly-configurable amenity use based on market research. The result of that analysis is the catalyst behind this arts & crafts workshop where residents can pursue hobbies, projects, and gather for programmed activities. More and more we’re designing flexible, meaningful spaces that support interaction, activities, and relationships rather than flashy single-use offerings. “Meaningful” is the key, here: Passive entertainment amenities are falling on priority lists for developers and residents. 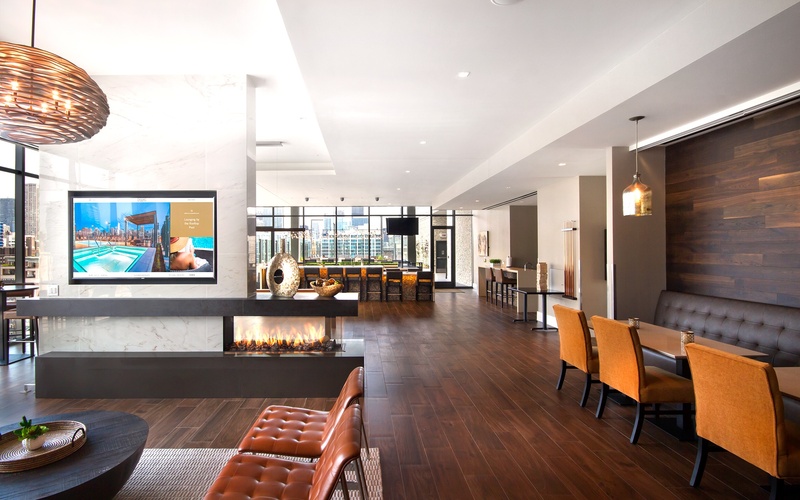 Activities like cooking or mixology classes, wine tastings, and interactive game nights are posted on apartment community announcement boards all over the city. Once thought of as a student-housing phenomenon, we saw the trend flow through senior housing communities–especially independent living–where it continues to be very successful. Activities and trips provide reasons for residents to leave their units and have stimulating experiences within their community. 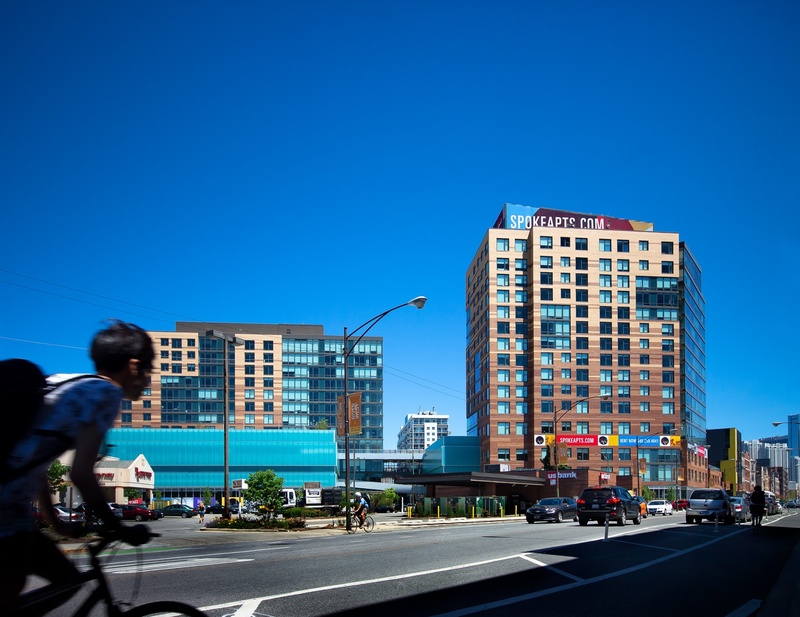 We work closely with the management entity at all of our buildings, both senior and multifamily focused, and consistently hear about the increased need for activity spaces that aren’t as pre-defined as some amenities we saw earlier in this cycle. To support this with design, flexible spaces are created to conveniently support a range of programmed activities, and to allow for easy adaptation down the road. As tastes evolve and today’s renters continue to seek new and different offerings, we see owners and managers of multifamily properties considering partial or complete refreshes of their public spaces sooner than ever. That means spaces should include solid infrastructure throughout, and forms that will translate well into a new use when the market demands it. 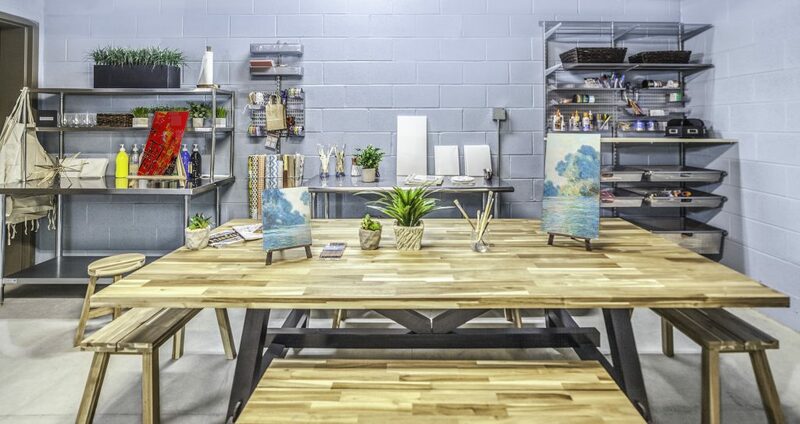 Spaces that are too purpose-designed for one use can be a disadvantage. For instance, the enclosed, sloped- or stepped-floor community theater room shows up less frequently these days, giving way instead to cafe spaces built to host music performances or jam sessions. If single-use spaces like that do remain, they’re outfitted with less fixed furniture than before, which will ease future adaptation. One building we’ve heard about is converting the stepped-floor theater room into a spin studio–a clever use that can repurpose that specialized space.